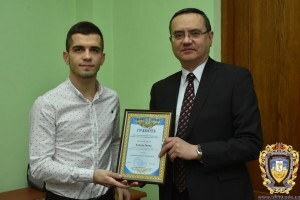 During TSMU Academic Council meeting which took place on 14 December, rector of Ternopil State Medical University Professor Mykhaylo Korda recognized the best students of the university for their achievements in studies, research, athletics, arts, and charity work. 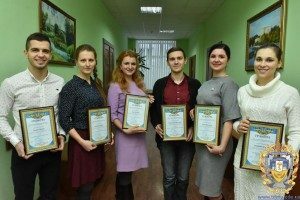 These young people received awards. 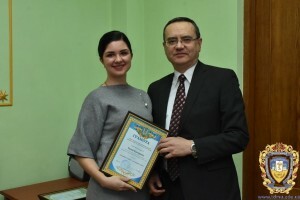 This is the second time best students are being recognized, first such event took place in late December of last year. 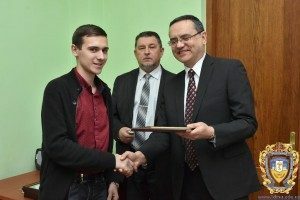 This time acknowledgements and awards received the following students of the Medical Faculty: Victor Mischanchuk for his excellent academic achievements, Katheryna Halei for outstanding achievements in research, Ivan Kalka for outstanding achievements in athletics, Illiana Hoda for active volunteering work, Iryna Tokarchuk for civic work, and Ksenia Oliinyk for participation in cultural and arts events. We wish our students continued success and new achievements, and look forward to hear about their new victories.